This is screenshot (at 53.9 seconds) from CUFI’s video, “Micro History – 1917 Balfour Agreement” that shows the underlined portion of the declaration that was read on the video. By way of deception, the conditional clause that followed, was not read, and the scene quickly changed. Listen to the voices nobody wanted to hear. Read the words of those whose painstaking work as part of the 1919 King-Crane Commission, national treatises and general assemblies were shelved in dusty oblivion just after the 1919 Paris Peace Conference by which time the fate of the Middle East had already been determined, Arab public opinion notwithstanding. The Commission recognized … that definite encouragement had been given to the the Zionists by the Allies in Mr. Balfour’s often quoted statement, in its approval by other representatives of the Allies (my italics). If, however, the strict terms of the Balfour Statement are adhered to…it can hardly be doubted thatthe extreme Zionist Program must greatly be modified. For “a national home for the Jewish people” is not equivalent to making Palestine into a Jewish State; nor can the erection of such a Jewish State be accomplished without the gravest trespass upon the “civil and religious rights of existing non-Jewish communities in Palestine. The fact came out repeatedly in the Commission’s conference with Jewish representatives, that the Zionists looked forward to a practically complete dispossession of the present non-Jewish inhabitants of Palestine, by various forms of purchase. An American decision to send over a commission to determine public opinion in ‘Syria and Mesopotamia’ (Iraq and the Levant) was designed to have included Great Britain, France, and Italy. All three countries backed out, led by the British whose leadership —like that of France— had no intention of taking into consideration the will of the nations they had long since agreed to divvy up and colonize. The King Crane Commission was therefore deemed by some a ‘fool’s mission’ as it set out to discover what the indigenous peoples of the Middle East actually desired. Indeed it was, for President Wilson, who authorized it, had already promised the American Jewish Committee that the Balfour Declaration was a fait accomplit. The four Allied powers of the First World War had already accepted, however informally, Lord Arthur Balfour’s Declaration of 1917. A great deal was learned, nevertheless, by Charles R Crane, a Chicago Businessman, and Henry Churchill King, former president of Oberlin College, both of whom – along with their entourage – had extensive knowledge of the Middle East. Their mission began in May and lasted until the end of July 1919, about the time the Paris Peace Conference was wrapping up. The recommendations of the commission, had they not been immediately shelved, might possibly have inspired less unjust futures for the newly liberated lands of the former Ottoman Empire. As it was, the King-Crane Commission played a role in stirring up nascent feelings of Arab nationalism throughout Syria – which then included both Lebanon and Palestine. It did little to calm the fears of those who rightly suspected what the colonial powers had in store for them. These demands included independence without restriction for greater Syria and other Arab lands, no partition of the land, clear boundaries, no mandates (colonial trusteeships as set out in article 22 of the League of Nations) and no recognition of the claims by any state of ‘historic or preponderant rights in our land’. (from The Arabs, p. 159; E. Rogan) Later on, at the Syrian General Congress on July 2nd, 1919, only the demand for a united Syria and full independence from colonial powers had more support than the complete rejection of Zionism. The Balfour Declaration was unequivocally rejected for the Nth time by popular opinion. [Article 7] We reject the claims of Zionists for the establishment of a Jewish commonwealth in that part of southern Syria which is known as Palestine and we are opposed to Jewish immigration into any part of the country. We do not acknowledge that they have a title, and we regard their claims as a grave menace to our national, political and economic life. Our Jewish fellow-citizens shall continue to enjoy the rights and to bear the responsibilities which are ours in common. Importantly, during their three month stay, the commissioners collected 1350 petitions, not unlike petitions circulated today, in which 72% were directed against the Zionist program. These petitions, from present day Syria, Lebanon, and Palestine, covered a range of topics unsolicited by the commissioners. In effect, the King-Crane commission was one of the first modern public opinion polls in which 3% of a widely represented population — from notables, laborers, merchants, peasants, women and students — participated. The strength of these sentiments caused many of those initially sympathetic to the Zionist cause to change their minds. It must be believed that the precise meaning of … the complete Jewish occupation of Palestine has not been fully sensed by those who urge the…Zionist program. For it would intensify, with a certainly like fate, …anti-Jewish feeling both in Palestine and in all other portions of the world which look to Palestine as ‘The Holy Land’. This would become true in the Islamic world, above all, where Israel came to be identified with the western colonial powers that created it. Its creation had been predicted and cautioned against as well, by the King-Crane’s commissioners as they questioned both indigenous peoples and British soldiers stationed in the region. The peace conference should not shut its eyes to the fact that the anti-Zionist feeling in Palestine and Syria is intense and not lightly to be flouted. No British officer, consulted by the Commissioners, believed that the Zionist program could be carried out except by force of arms. The officers generally thought that a force not less than fifty thousand soldiers would be required even to initiate the program. That of itself is evidence of a strong sense of the injustice of the Zionist program, on the part of the non-Jewish populations of Palestine and Syria. …For the initial claim, often submitted by Zionist representatives, that they have a “right” to Palestine, based on an occupation of 2000 years ago, can hardly be seriously considered. [I]n Palestine we do not propose even to go through the form of consulting the wishes of the present inhabitants of the country… The four Great Powers are committed to Zionism. And Zionism, be it right or wrong, good or bad, is rooted in age long traditions, in present needs, in future hopes of far profounder import than the desires and prejudices of the 700,000 Arabs who now inhabit that ancient land. Chaim Weizmann, a biochemist whose production of acetone benefited the British during the First World War, was president of the Zionist Organization at the time of the King-Crane Commission. He was well connected to the British political elites yet was nonetheless eager to make a good impression on the Commissioners as well as on other groups of people at the time. On June 18th, 1919, Weizmann asked Balfour to pass a message along that would reach the American King-Crane Commission. He wanted this message to be presented with “firmness, moderation, and dignity,” much like the presentation he had given at the Paris Peace Conference in February 1919. At the same time, …Weizmann outlined an ambitious program for the development of the Jewish Program, with provision for immigration, settling of Jewish soldiers, and external assistance. Both Weizmann and Sir Herbert Samuel [became 1st High Commissioner in Palestine in 1920] complained of the attitude of British military authorities. This would not be the first time that Zionist activists were cautioned to tone down their vision for an-Arab free Palestine when coming into contact with people attempting to make more informed decisions. Were the findings of the King-Crane Commission a complete waste of time? Especially amid later rumors that outside powers, including the French, British, and Zionist Organization had moved to suppress its findings for a number of years? 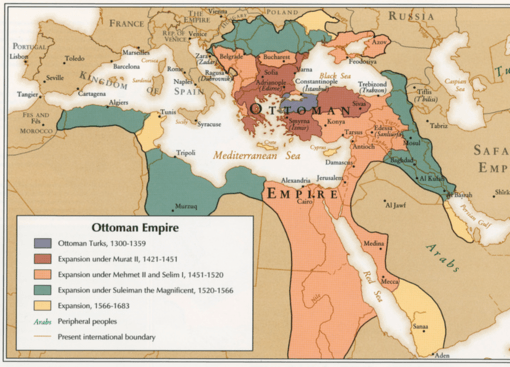 Given the latter point, the Commission’s findings must have been considered a potential threat both to the Sykes-Picot Agreement, that initially carved up the Middle East into spheres of influence in a secret agreement in 1916 as well as to the Balfour Declaration, in which land not yet conquered by the British was promised to a people, for the most part, who didn’t live there. Either way, neither the British general public nor its counterparts in other western nations ever had access to the commission’s findings. It is therefore unlikely the King-Crane Commission ever posed a real threat to the politics of empire, not only because their actions so rarely take into account the best interests of their peoples. It is more likely the King-Crane Commission had no effect on the outcome of the Balfour Declaration because its contents were kept far away from public opinion at a time when a collective reaction might have made a difference. In view of all these considerations, and with a deep sense of sympathy for the Jewish cause, the Commissioners feel bound to recommend that only a greatly reduced Zionist program be attempted by the Peace Conference, and even that, only very gradually initiated. This would have to mean that Jewish immigration should be definitely limited, and that the project for making Palestine distinctly a Jewish commonwealth should be given up. All footnotes will be made available upon request.